So my brother Matt has repeatedly told me that I have orphaned my blog. He’s right, it’s really terrible. I haven’t even had it that long! I’ll try and do better Matt! I will!! Coming back to Girona was so much less stressful this time around. We have an apartment, a bank account, we know where the grocery stores are, and most importantly, we had friends to come home to! What a difference from the first time I arrived, and couldn’t remember two words in Spanish or find a grocery store to save my life. It’s been a great few weeks catching up with friends and enjoying summer in Spain. 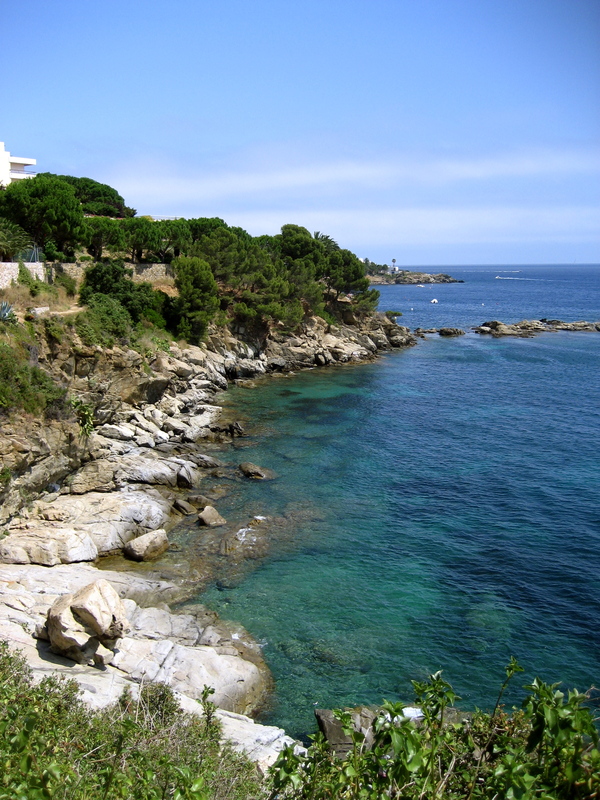 Girona is near the Costa Brava, one of the most beautiful coastlines in Spain. 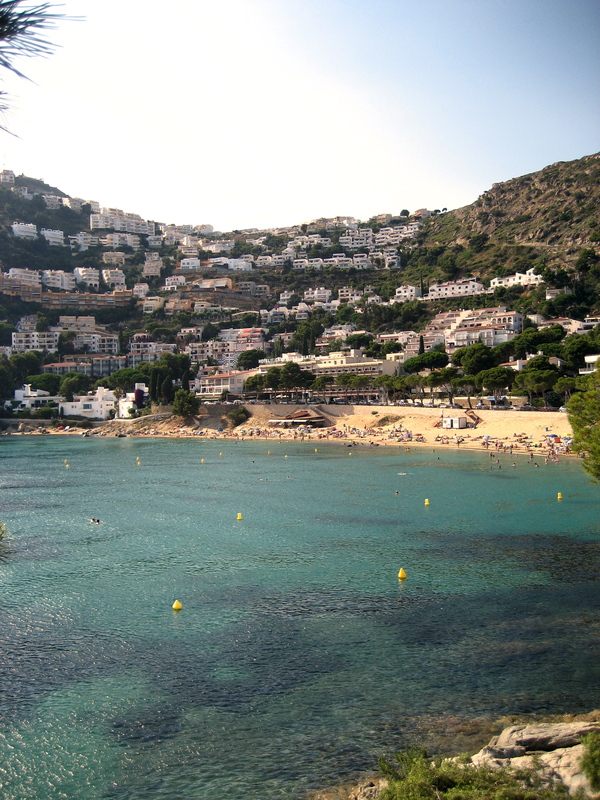 I’ve been able to go to the beach several times and enjoy the nice weather and the stunningly beautiful Mediterranean. Caleb’s cycling has been going really well. If you followed the Tour of Austria, you probably saw he had several days where he was top 20 or 30. He’s definitely been feeling more comfortable with the European racing, with his team, and has been feeling great in training. It’ll be exciting to see how he does in his upcoming races: Tour of Utah Aug. 9-14th and the USA Pro Cycling Challenge (Tour of Colorado) Aug. 22-28. I’ll be at both races (YES!) so I’ll try and give good updates about them. Also, if you’re ever wondering what races Caleb is doing you can check out his website http://www.calebfairly.com. He also has the occasional blog update on there. While the guys were riding through the alps at Tour of Austria, Lisa and I went on a little adventure of our own! Our earlier ambitious ideas of Paris or Venice had to be ratcheted down to someplace in Spain haha, but that ended up being just fine. We took a quick train and bus rides to the coast and spent the night in Roses. The first day we went hiking along the coast into the Cap de Creus nature reserve. It was so beautiful…I’ve never seen anything like it, the water was actually turquoise. We even climbed down the rocks and went swimming in our own little Mediterranean cove! 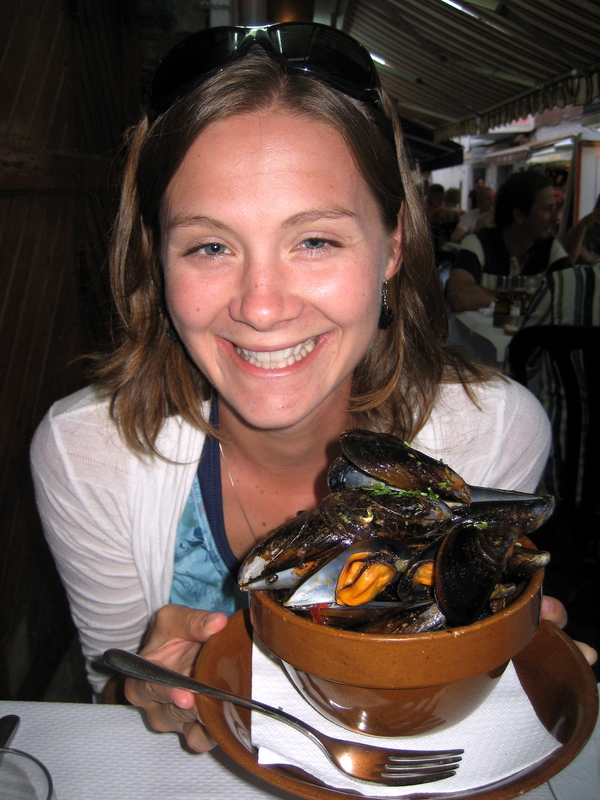 That was amazing…at least until Lisa cut her foot on a shell and I got a sea urchin sticker in my foot…but we survived. The rest of our mini vacation was spent eating great seafood and enjoying the beach. 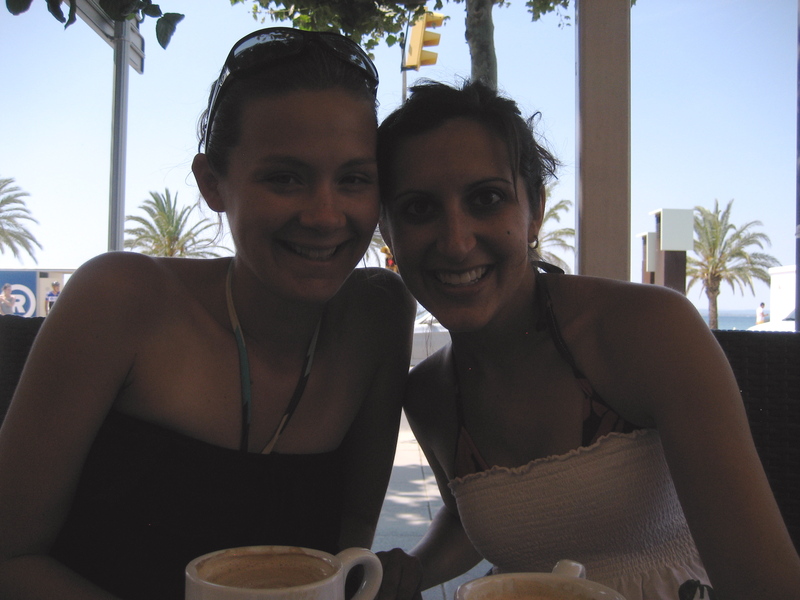 It was so fun experiencing a new part of Spain and getting to know Lisa even better. We found we were pretty good travel buddies, and we’re hoping to do some race following together in the future! In other news, Caleb’s brother Chase and sister Caitlin came to visit! We had so much fun taking them to all our favorite restaurants, eating gelato, and exploring the old town. Cait is a photographer, and Girona is pretty much a photographer’s dream so we had fun looking for good photo ops. They both did awesome communicating in Spanish and being willing to try anything. One day we rented a car, drove to the beach, and met Caleb for lunch. Then he drove us along the coast on one of his favorite rides. It was beautiful, and so fun to finally see where he goes every day! It was also a victory for me, because I have been irrationally scared of driving here. It wasn’t that bad, glad to get another hurdle out of the way! We also had some mishaps while the fam was visiting…mainly involving Barcelona. I thought I had figured out the train system well enough, but I was seriously wrong. (I don’t necessarily feel like it was my fault though, I mean, Barcelona didn’t do us any favors when they gave three different stops the same name haha.) Basically we spent a couple hours wandering from metro station to metro station, asking for directions, and getting locked (literally locked) into two different train stations. Our poor guests were troopers…I just kept telling them they were the guinea pigs for all future visitors!